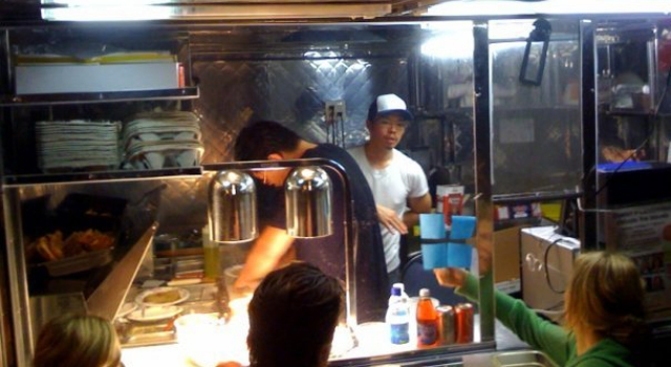 What do street food vendors do after they get popular? Offer an IPO of course. Mission Street Food announced it is looking for investors to bring its talented chefs off the street and into a restaurant of their own. For a $500 investment, entrepreneurial foodies can own a piece of street food lore. The people behind Mission Street Food say they have already secured a space but they needs about 100 investors who could expect to see about a 14 percent return on their investment annually. And true to its mission (sorry) the chefs project to fundraise between $40,000 to $90,000 for charity annually. Currently Mission Street Food donates its profits to local charities. For those looking to eventually get out of their investment there is a potentially sweet reward. Day one investors will be cashed out of the co-operative with a $1,000 gift certificate at the new Mission Street Food restaurant. Yummy.